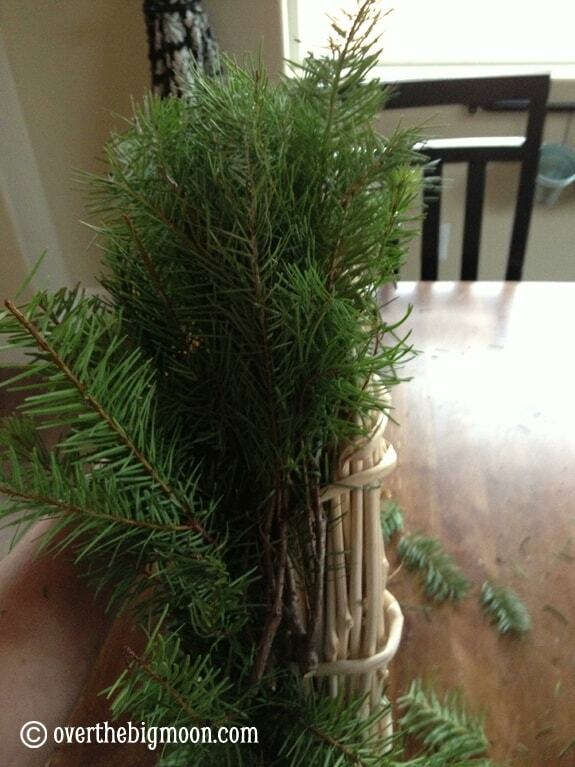 At our church Christmas party they had a bunch of greenery on the tables they were going to be throwing away. 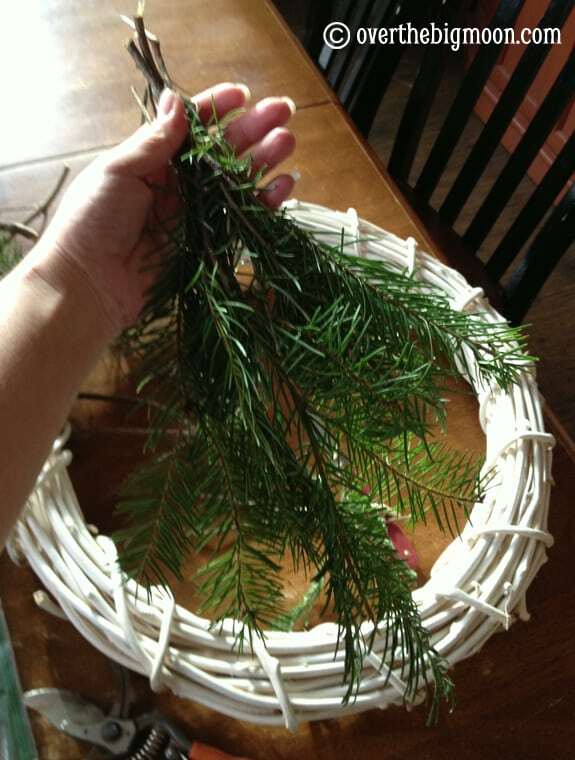 I couldn’t stand the thought of it so I gathered a bunch up and brought it home to make us a fresh and amazing smelling wreath. 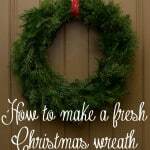 Having a Wire Wreath Frame would make it so much easier but I was cheap and used the white grapevine one I had on hand. 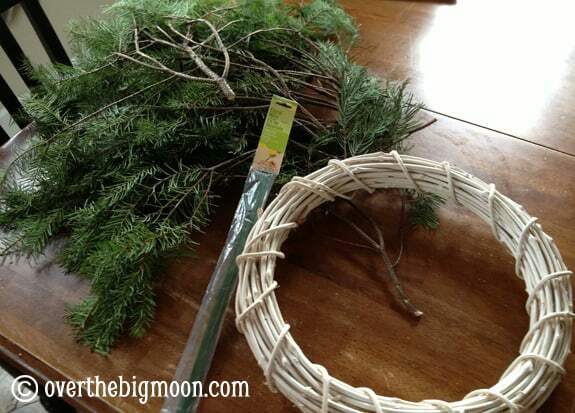 I used Green Covered Floral Wire to secure it to the frame and before starting I used pruning shears to cut the big branches into equal sized smaller bunches. To start, grab a small bunch. Wire it to the frame. 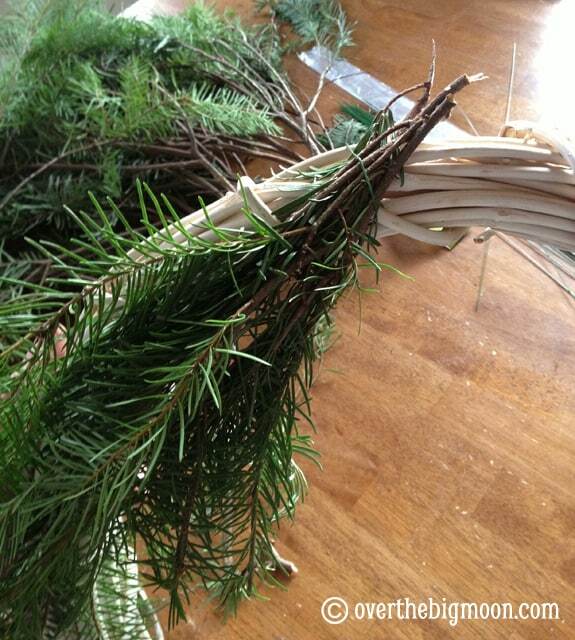 Then take another bunch and secure it above that one so that it overlaps and covers the stems and wire of the last bunch. Keep doing that until you have gone all the way around. 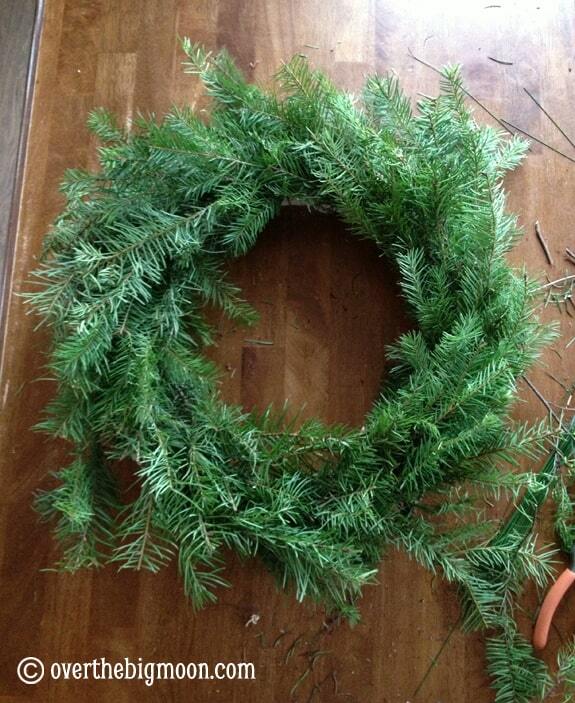 Because I used my grapevine wreath I had to add some on the sides. If you use a normal wire frame this is not an issue. Then you should have something that looks like this. 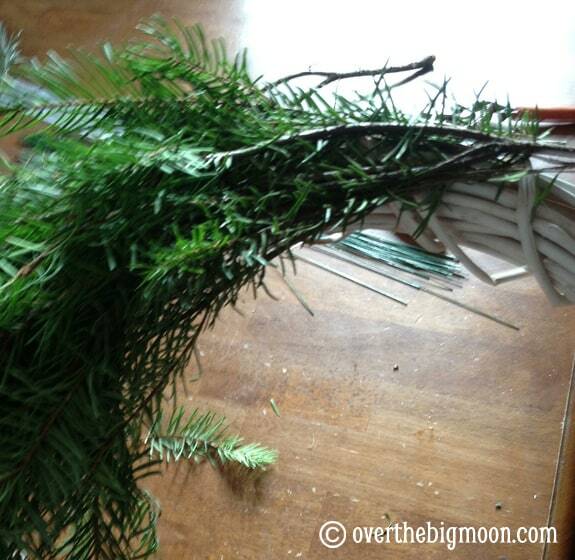 Last step is to take your clippers and trim it up so that it doesn’t have weird branches sticking out all over and also use leftover branches to fill holes and make it even. 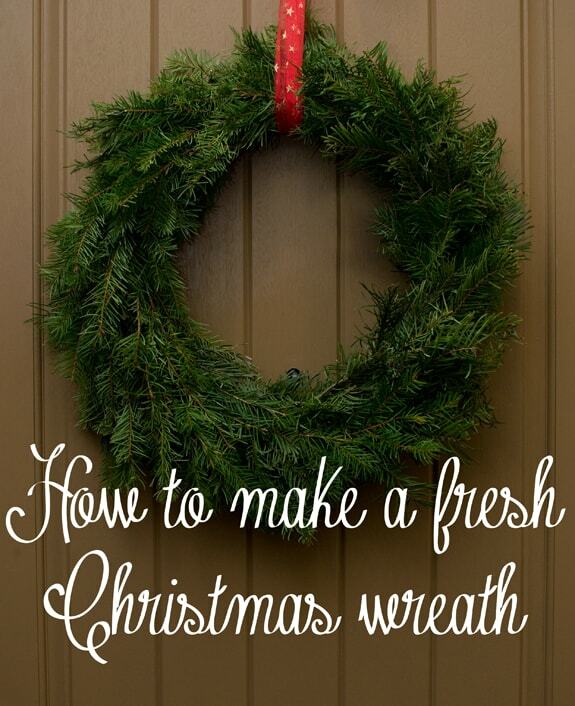 I used a ribbon to hang mine on the back of our front door and its been making our house smell dreamy ever since!